Mrs. Poe explores a part fictional, part based on fact, account of writer Frances Osgood and her love relationship with Edgar Allan Poe. I personally know very little about Poe. I know he married his 13 year old cousin when he was far in his twenties, and of course that he wrote creepy poems and short stories. Not knowing a lot about his personal life or what his contemporaries thought of him made reading Mrs. Poe easier for me. I had no idea whether the characters introduced by Ms Cullen were based on real people or fictional ones, and it made me unbiased towards them. On the other hand, I’m not a good judge to decide whether the historical details in this story are well researched or not. The setting of Mrs. Poe is New York as its still being built. I loved reading about the construction sites, the sense of New York just starting to flourish. It’s different from the London setting we all know, where there already is such a sense of history. In New York, everything is still possible. Everything is new. Instead of what the title might suggest, the main character of the book is Frances Osgood, a children’s book writer and poet, that meets Poe at a gathering for the literary elite. They have an attraction, they fall in love, and in the end start an affair. Almost the entire book is filled with the interactions between Osgood and Poe, the way they meet at gatherings, in the streets, the outings they make together… All while they are both married to other people. For me the book got boring and repetitive and too shallow after the half-way mark. 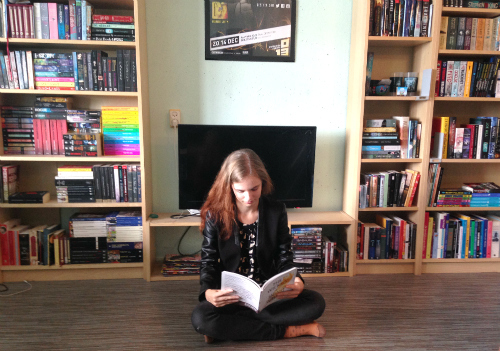 Reading about Poe is fascinating, but I wasn’t very impressed by Ms Cullen’s Poe. As a character he barely has any depth – he’s just the random tortured conflicted guy everyone projects on him, and I think below that surface there was nothing there. The same with Frances Osgood – she’s surrounded by friends, by her children, but they’re only props. We only see interaction between her and her children when Poe is present. The entire story revolves around their will-they won’t-they and the effect it has on the real Mrs Poe, Poe’s wife. 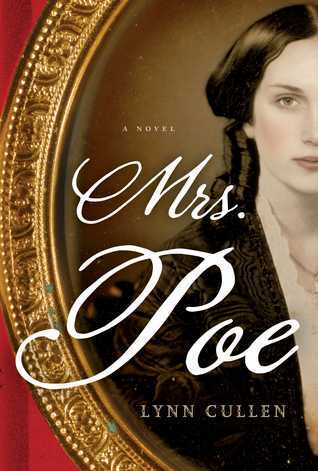 Mrs. Poe is filled with flowery prose and lush descriptions and dramatic sentences, so if that’s your kind of writing, you might want to give it a try. The story is rather dramatic, concerning two married people having an affair with only fleeting thoughts on what kind of effect their selfish romance might have on others. In the end it was too shallow for me, once the novelty of their shenanigans wore off.